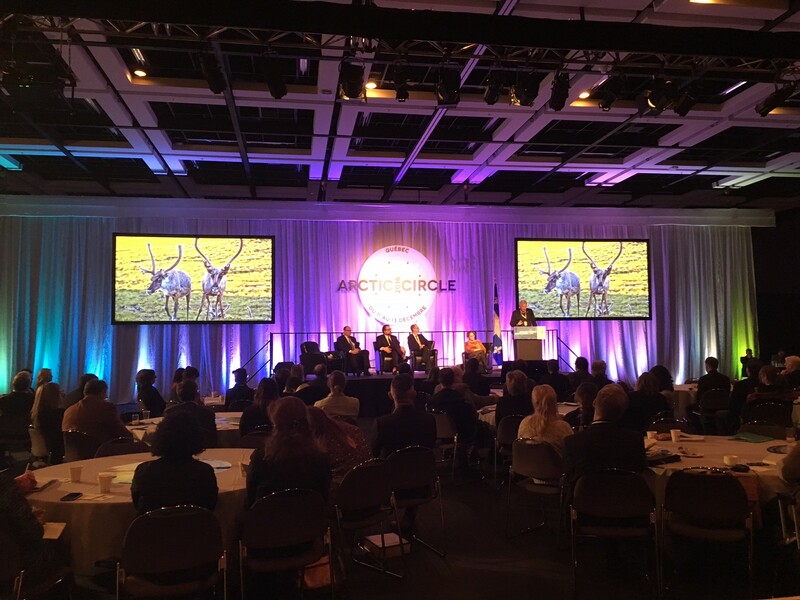 THE FOURTH Arctic Circle Forum took place in Canada from 11 to 13 December 2016, hosted by the Government of Quebec. The Forum compliments the larger Arctic Circle Assembly held in Reykjavik, Iceland, each year. Its objective is to convene international stakeholders to consider specialized issues pertaining to Arctic cooperation. Earlier forums hosted in Alaska, Singapore and Greenland addressed shipping and ports, as well as economic development. IN 2016, the Forum focused on Sustainable Development in Northern Regions: An Integrated and Partnership-based Approach and provided an opportunity for Quebec to share the Plan Nord. This is an ambitious mining, energy, forestry, wildlife and tourism development plan covering all of Quebec territory that lies north of the 49th degree of latitude. The Forum also included a special plenary session on Climate Change in Arctic and Northern Regions. David Miller, President and CEO of WWF Canada draws attention to caribou survival in decline across Canada, at the Special Plenary Session on Climate Change. THE FORUM’S opening session focused on what sustainable development means for the fragile northern regions of the globe. Philippe Couillard, Premier of Quebec, emphasized the importance of harnessing developmental opportunities in Quebec’s vast untapped forests and mineral reserves, while Ólafur Ragnar Grímsson, Arctic Circle Chairman and former President of Iceland, acknowledged a group of protesters outside the Forum and reminded that citizens had to be brought along in the process of sustainable development as central participants. VITTUS QUJAUKITSOQ, Minister of Commerce, Employment, Trade, Energy and Foreign Affairs, Greenland addressed what is arguably the most important Arctic climate change issue: oil and gas exploration. Casting aside the issues of conservation and climate change, he expressed optimism for the US President-elect Donald Trump’s economic development plans in the Arctic region and stated his hope for a US Secretary of State appointment “with a comprehensive experience from the private sector.” In light of the subsequent nomination of Exxon Mobil’s chief executive Rex Tillerson as the US Secretary of State, Greenland’s desire for enhanced regional cooperation on Arctic oil and gas development may very well become a reality. THIS STANDS in stark contrast to the Canadian and outgoing US Administration’s approach to sustainable development in the Arctic. In fact, a week following the Arctic Circle Forum in Quebec, the US and Canada released a joint statement banning offshore oil and gas development in their respective Arctic waters. The US has imposed an indefinite ban on oil and gas leasing on the majority of US waters in the Chukchi and Beaufort Seas, while Canada imposed an indefinite ban on offshore oil and gas licensing in all Arctic Canadian waters, to be reviewed every five years through a lifecycle assessment based on climate and marine-science. THE ISSUE of oil and gas development also arose in the Forum’s special plenary session on climate change. David Heurtel, Minister of Sustainable Development, Environment and the fight against Climate Change, Quebec, expressed the province’s desire to move away from drilling. David Miller, President and CEO, World Wildlife Fund, Canada, emphasized the clarity of climate change science on the importance of eliminating fossil fuel dependence and of embracing renewable energy industries that do not negatively impact conservation of flora and fauna, especially the protection of wildlife habitats. His Serene Highness Albert II, Prince of Monaco insisted upon the “irreplaceable” role of scientific knowledge as the only “solid and incontestable basis” for Arctic development. 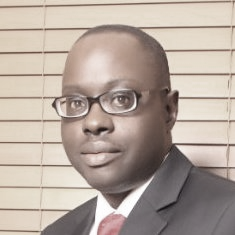 Addressing hydrocarbon exploration in particular, he noted that we could not hope but for a limitation of these activities. WHILE CLEARLY demonstrating there is no consensus between Arctic nations on halting oil and gas exploration in the Arctic as a measure to respond to the urgency of climate change, the Forum made it clear that Arctic development will not be left to federal authorities and top-down processes. Overall, the salient and most widely embraced idea affirmed at the Arctic Circle Quebec Forum was that sustainable development of the Arctic region has to be a broadly inclusive and science-driven process duly integrating the knowledge and participation of local communities.